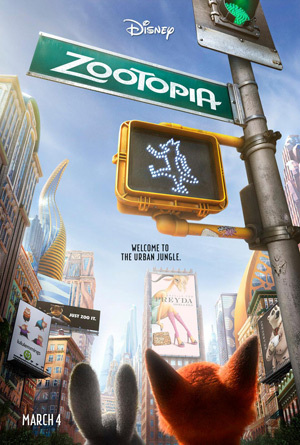 Jason Bateman, Ginnifer Goodwin and Alan Tudyk voice the animated adventure Zootopia. Watch the movie trailer below. A fast-talking fox (Bateman) goes on the run when he’s framed for a crime he didn’t commit with a self-righteous rabbit (Goodwin) hot on his tail. MPAA Rating: PG for some thematic elements, rude humor and action.